Want to support women in the military community as a director? Women in the military community face a unique set of challenges. They move around a lot, often without choice or notice, so it can be hard to put down roots and balancing this uncertainty with jobs and family life can be especially tough. 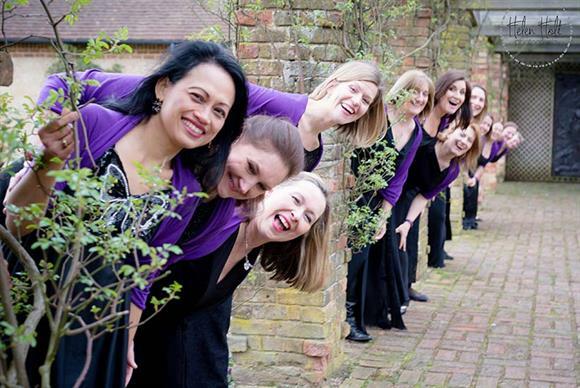 The Military Wives Choirs therefore provides a really important service in helping women to feel better through singing, sharing and supporting each other. The director is the most senior staff member in the charity. They manage a small staff team, who support the large number of volunteers that run the day-to-day activities of the 73 Military Wives Choirs and provide important resources like music, training and cross-network projects. The director also works with the board of trustees to support the effective governance of the charity through financial management, policy development and key relationship management. Experience in a senior role is important, as this person will need to be a really confident people and volunteer manager who is used to responding to, and initiating, a wide range of matters. So someone from the charity sector, ideally with a track record in working with trustees, would be great. You wouldn’t necessarily need to be from a music background, but experience with event management would be beneficial, as would an appreciation for the military community and how the military works. Why would someone want to work for Military Wives Choirs? Everyone in our organisation believes that music and singing have the power to improve peoples’ wellbeing, and feels passionately about supporting the military community. It’s also a great environment for people who love being creative and having lots of different projects on the go – as a small team with a big network of choirs, no two days are the same. This person needs to relish a challenge and feel excited about moving the organisation into a more stable, sustainable phase. Currently, we are looking to develop the support and training we offer choir committee volunteers – this is crucial to the quality and vibrancy of the choirs and will hopefully have a hugely positive impact on the choir network. We are also continuing our commercial activities such as big performances and recordings: as a well known and well loved brand we have some great links. Particularly important in the next 18 months will be the commemorations around the centenary of the end of WW1 in 2018, which is a great opportunity for us. We have a good training budget, and as we are a subsidiary charity of SSAFA (the Forces Charity, at whose office we are based in London) they often open up their in-house training to us. It’s really flexible and self-driven, so all staff can and do put themselves forward for whatever training they need or would like. Be ready to show your excellent communication and mentoring skills. You need to be really comfortable answering the phone and never being quite sure what call you’re going to get, as well as demonstrating a real passion for making the choirs a safe, happy and quality environment. Also, gen up on the military community and think creatively about ideas for fundraising. This role comes with big expectations – this is a household name and a large network of choirs, all with their own needs and wishes, and some key external relationships to manage. But it can be immensely rewarding to see the big difference that even small changes can make to the choir volunteers and choir members. The team is top notch and with such a well known brand there is plenty of potential to do great things. It’s a varied, creative and fun place to work.